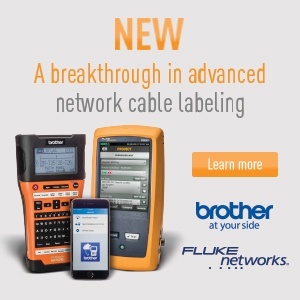 When Brother Mobile Solutions designed the P-touch EDGE® family of labelers, we let labeling pros guide us. They told us how technicians marking wires, cables, fiber, panels and more every day actually worked and how their crews operated. We learned what features would make projects go faster and more efficiently and make their lives easier. We also learned how nobody wants to spend time on a job site reading a manual, so the hardware had to be easy to use. So, we built in the features the pros wanted, and then we made it very easy to get to – and use – those features by practically anyone, even a new team member just added to a crew. 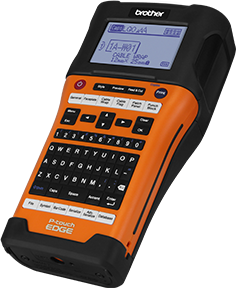 Clearly labeled application keys, intuitive menus and on-screen prompts on our handheld models allow technicians to make professional labels in seconds. And for the techs and crews who use their phones and tablets on a daily basis, free mobile apps for iOS® and Android™ devices make printing labels from our PT-P750WVP portable industrial label printer as easy as touch, type and print. 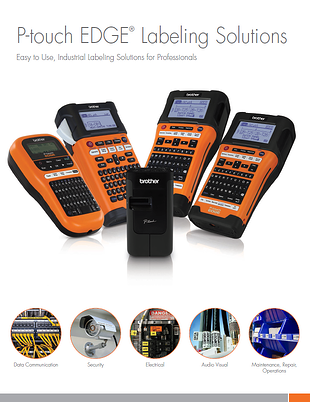 The PT-E500 industrial handheld labeling tool kit comes with software to print labels from a computer or download with a database and print virtually anywhere. 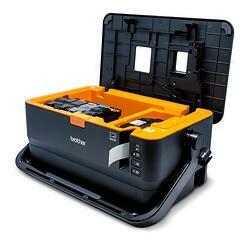 Its smart technology, QWERTY keyboard, automatic cutter and large backlit display help make the PT-E500 easy to use to mark cables/fiber/wire, faceplates, patch panels and more.